A little over a month ago we were in the city celebrating my husband’s birthday. 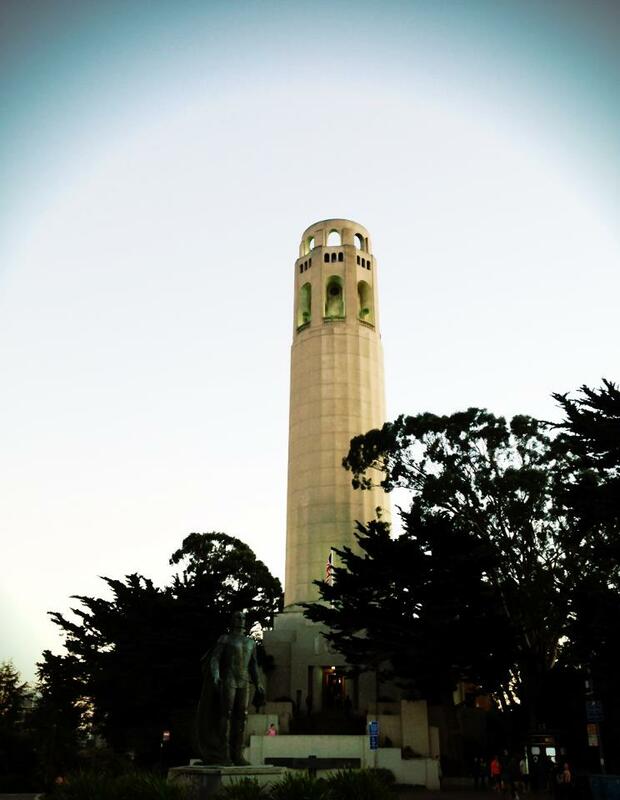 We decided to venture on foot to Coit Tower, an icon that can be seen from most places in San Francisco. We got to the top by elevator and enjoyed the views. From every direction there was a different scene to please the eye. The wind whipped around us and other tourists as we watched the sun sink behind the Golden Gate. On each window sill there were coins from all over the world – mementos of real people, with real loves, real hates, real stresses, real journeys through life. Each coin has a story to it – a representation of how we’re all linked to each other – how our lives collide and mesh more than we realize. 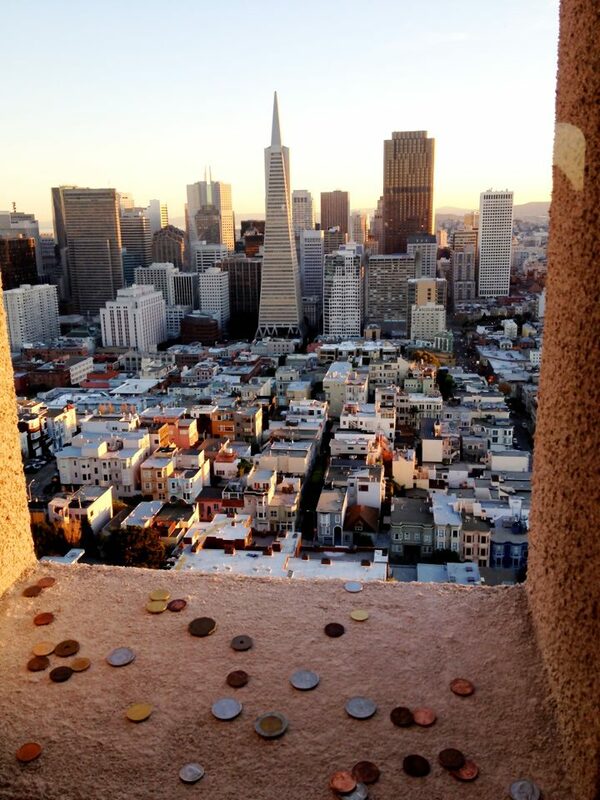 We dropped our coins with the others, leaving our dimes standing watch as tiny tourists overlooking the Bay forever. As the temperature began to drop we crammed with the others back into the tiny elevator to descend back to our separate lives, our schedules, our calendar of events and appointments. The door closed and there we were, packed into the tiny box, our personal bubbles forced to pop as we all rubbed shoulders for the ride down. There was that silence – you know the kind. The silence that crescendos upon an elevator as the doors close, and those inside wait, as if frozen in time and space, hibernating from life for a few seconds. But this time something changed. One of the strangers made a joke about how we were all so quiet as we stood shoved into this common space, waiting for the floors to descend and the doors to release us. We all laughed nervously, somewhat relieved that someone had helped to break the awkward silence. Then my husband jovially told everyone it was his birthday today. Suddenly the moving box became electric with an energy of voices wishing happy birthday and asking for his name. And there it was – that same feeling: magic in the mundane, Sacred in the chaos, Spirit among strangers. One of the young men, a kid probably in his late teens, announced that we had to sing! And so, the moving box of strangers of all ages, cultures and from all walks of life, began to sing out a happy birthday chorus that felt spontaneous and authentic, even though none of us knew each other’s names or stories. We were all suddenly linked by a song that the world knows – a song that celebrates life and a recognition that we are all connected and we are all a miracle as sacred, living beings who cohabitate this planet. It was only 10 or 15 seconds. 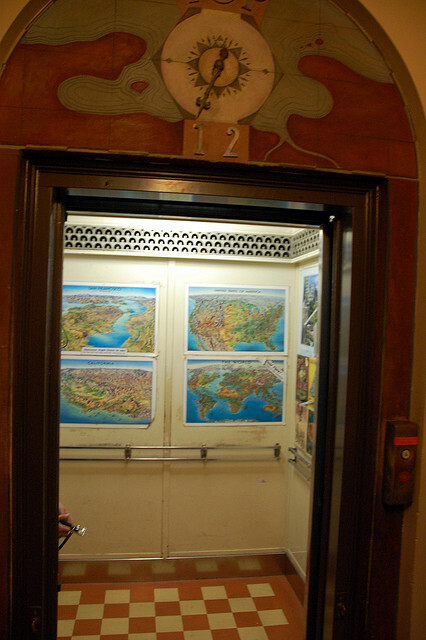 Just the time it takes to descend 10 stories in an elevator. By the time the doors opened at ground level, we somehow felt connected and like friends. Everyone, smiling and giggling from the spontaneous warmth of what just had taken place, wished each other a great rest of the day, and many more “Happy Birthdays!” rang out through the air. Life celebrated – in mere seconds – and the Sacred lingered with each of us as we returned to our schedules and routines and lives. Each of us feeling a twinge of magic, a chord of connection, and an enveloping sense of joy. The Sacred shows up everywhere. Whether we’re in an elevator, or stuck in traffic on the interstate, or going through the routines of everyday life, the Sacred is there. But we have to slow down to see it. We must open our eyes. It’s there, waiting to dance around us, sing to us, sit with us. It’s happening all the time, but we miss it so many times because of the tunnel vision we let creep into our lives. We miss it because maybe our eyes are cast down into our digital devices. Or perhaps we miss it because of our schedules that rule our day-in-day-out interactions, so that spontaneity is choked by well-meaning plans and trivial pursuits. But I believe that if we took time to pause, maybe just 10 – 15 seconds (the time it takes for an elevator to descend 10 floors), we would hear it. We would hear the song that is being sung around us all the time. This song that is telling us all how beautiful we are, how we are loved, and how this day and this space is special because we reside in it. This chorus is cascading around you and me all the time – may we have the courage to raise our voices with that song, celebrating this beautiful life we share with all creatures! And even the most mundane places will turn into cathedrals where we encounter the Sacred. What a special memory of Steve’s as well as all of our birthday song to treasure and recall on every trip to S.F. How fun!